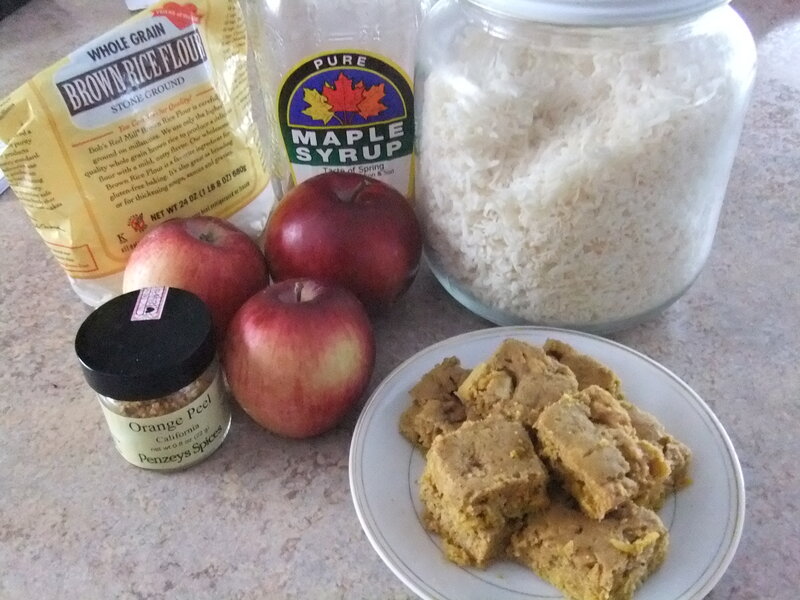 Here’s a yummy way to use those delicious apples that are in abundance this time of year. Coconut and coconut oil help add to the nutritional value of this tasty treat and the spices and orange peel give it a unique flavor that tickles the taste buds. Mix wet ingredients in one bowl and dry in another, then blend together in whichever bowl is bigger. The batter is going to be pretty thick. Pour (or plop) it into a medium rectangle glass casserole (I used 9 x 13) that has been greased with coconut oil, red palm oil or high quality lard. To even out the batter, use your hands, a spatula, or just hold both sides of the pan and gently tap on the counter so batter settles. Bake at 325 degrees for about 25 (check with toothpick at 20 minutes if your oven runs hot). Wait until completely cool to cut into squares (1-2 inches suggested). I used a butter knife and got it wet every so often for ease of cutting. Enjoy! As always, wishing you real food for real health so you can be real happy. * I used Penzey’s Orange Peel (it’s organic from what I was told). You could use a couple teaspoons of fresh orange zest if you prefer.